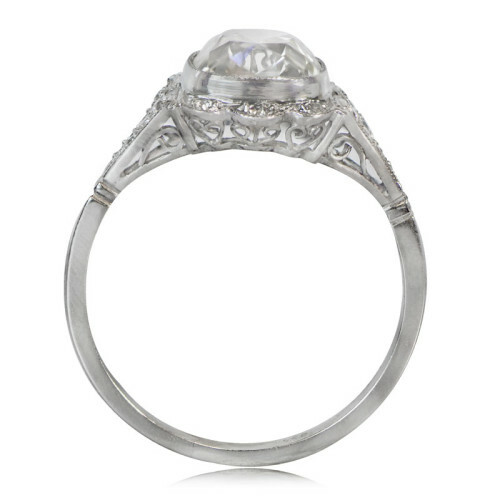 An extraordinary Art Deco style engagement ring. 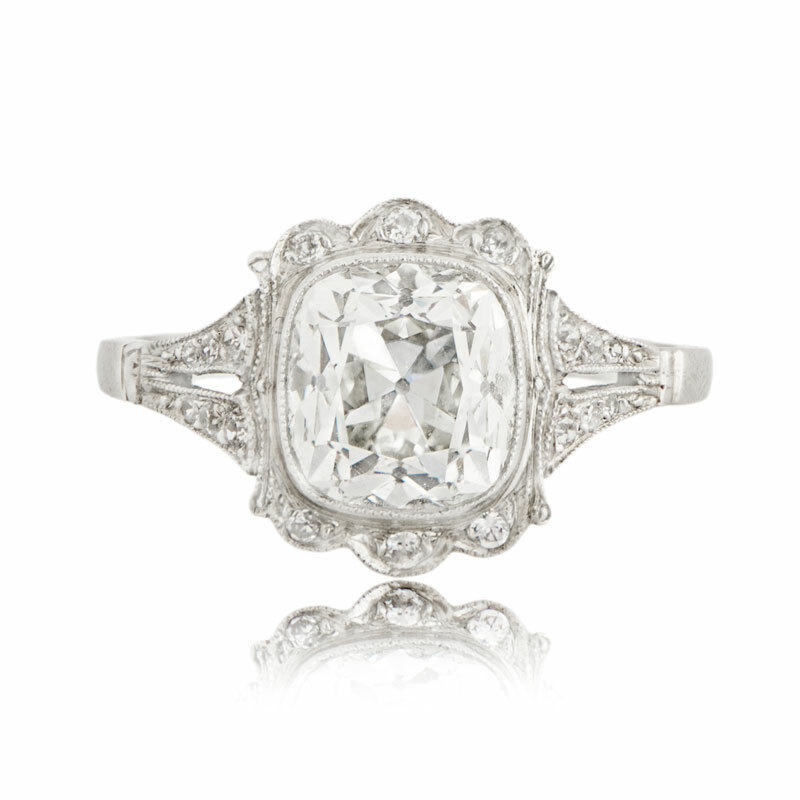 This incredible vintage engagement ring is set in a fantastic handmade platinum setting. 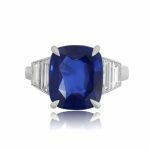 The diamond is a rare old mine cushion cut which is approximately 2.59ct, J color, and VS2 clarity. 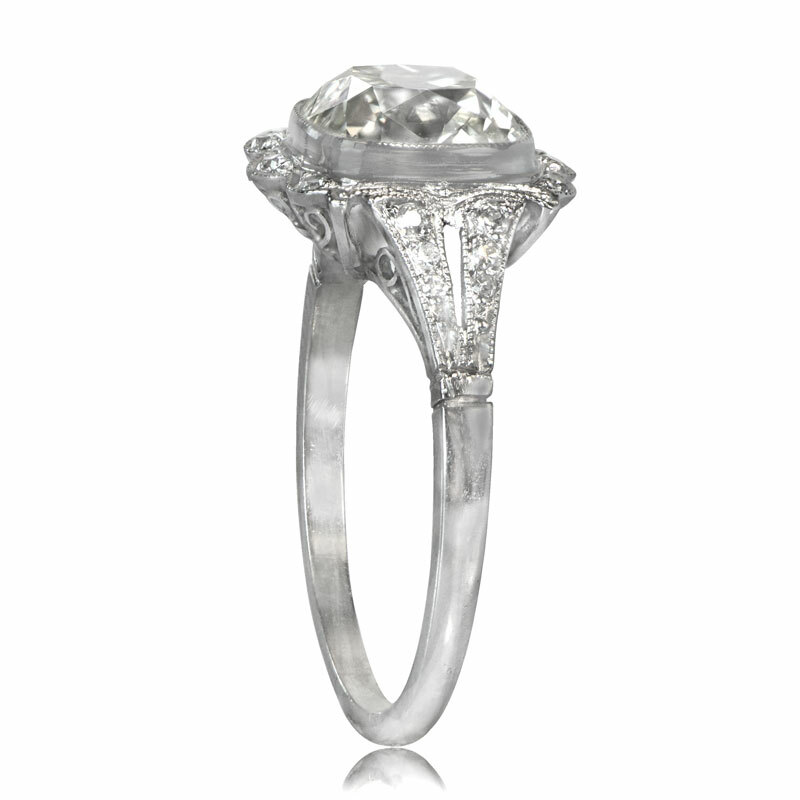 The ring is set with numerous old mine cut diamonds in an ornate frame around the center diamond. 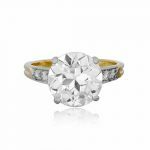 If you have any questions about this beautiful engagement ring, feel free to contact us. SKU: 10608 Category: Sold - Contact us and request additional pictures.